MetaIntegral Academy is excited to offer you a new 8-week course created and facilitated by Mark Allan Kaplan. It's called Meta-Movieology and it starts next month. If you are a movie enthusiast and into integral and evolutionary approaches to personal growth and development, this course is for you! Announcing the Publication of "Integral Cinematic Analysis: Mapping the Multiple Dimensions of the Cinema and the Co-Evolution of Cinema, Consciousness, Culture, and Society"
The journal article "Integral Cinematic Analysis: Mapping the Multiple Dimensions of the Cinema and the Co-Evolution of Cinema, Consciousness, Culture, and Society" has just been published in the Journal of Integral Theory and Practice. Winner of the Complex Thought Engagement Award at the 2013 Integral Theory Conference. Available at: https://foundation.metaintegral.org/products/integral-cinematic-analysis. This article provides an introduction to the application of integral and transdisciplinary approaches to cinematic media theoretical analysis. The theories and works of Jean Gebser, Edgar Morin, and Ken Wilber are used to potentially integrate major cinematic theoretical and analytical approaches into a comprehensive meta-approach that covers the objective, subjective, intersubjective, and interobjective dimensions of the cinematic arts. 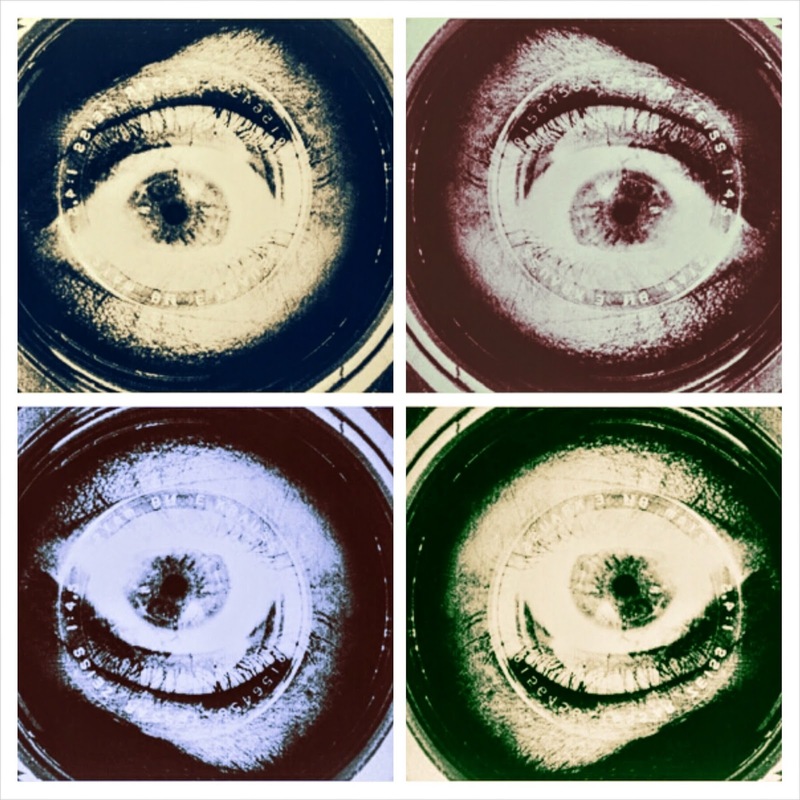 Specific integrally informed lenses of cinematic analysis are introduced as part of this meta-approach, based on Gebser’s perspectival structures, Morin’s cinematic complexity, and Wilber’s Integral framework. Potential benefits for the meta-approach are presented, including a deeper and more expansive understanding of the complex interrelatedness of the experience, form, language, and context of cinematic works, collective works of individual cinematic artists, genres and styles, and collective movements within the medium, along with the evolution of the cinematic medium itself and its relationship with the evolution of individual and collective consciousness, culture, and society. 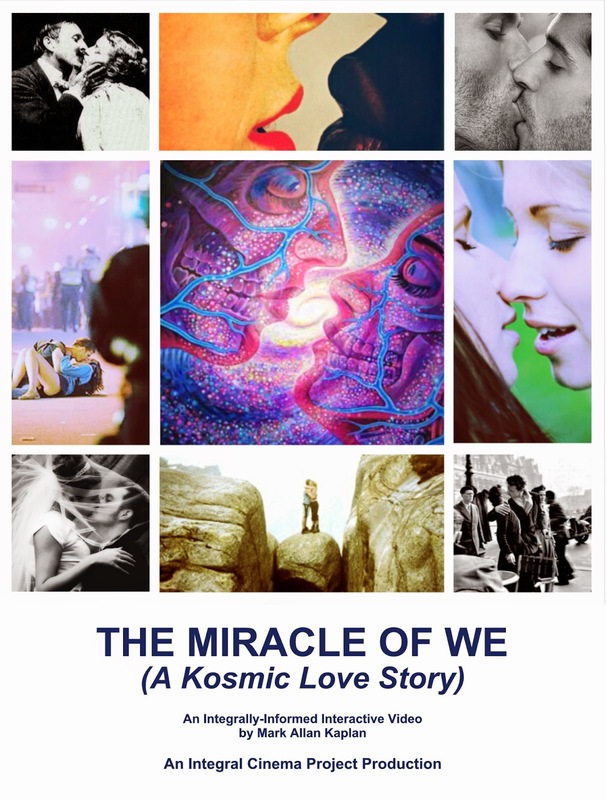 The Integral Cinema Project's MIRACLE OF WE (A Kosmic Love Story) is one of 11 finalists in the 2014 MetaIntegral Foundation's Projects in Action grant series. THE MIRACLE OF WE (A Kosmic Love Story) is an integrally-informed interactive narrative short video by the Integral Cinema Project and integral cinematic artist-scholar Mark Allan Kaplan. THE MIRACLE OF WE will attempt to tap into the capacity of the moving image to produce real-world transformation by creating a powerful and engaging short video to help foster the emergence of integral philosophy and culture on a potentially global scale. Using a traditional narrative structure as its foundational through-line in the form of a fictional love story, we will follow two strangers from their first meeting, through their courtship, and to their first kiss, unpacking their journey with various Integral lenses to reveal the rich and staggering complexity of the numerous dimension-perspectives, development structures, states, and typological patterns within, between, and around us that makes our capacity to transcend and include all this and connect with each other a truly miraculous occurrence. 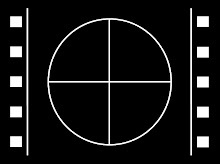 Integrated within and around this integrally-informed narrative will be abstract, experimental, meditative, and documentary elements that will include vignettes of other relationships representing the myriad of dimension-perspectives of self, culture and world, along with informational and experiential explorations of the Integral perspective itself. Through live action, stock imagery, animation, and interactive elements, THE MIRACLE OF WE will interweave all these elements into a hybrid dramatic, comedic, inspirational, contemplative, and sensual work with the intention to create an entertaining and transformational visceral experience of the integral perspective in the form of a potentially globally-viral interactive video. Lead creator of THE MIRACLE OF WE, Mark Allan Kaplan, an independent award-winning filmmaker and the preeminent theorist-practitioner of the application of Integral Theory to the cinematic arts, will attempt to break new ground with this work by applying Integrally-informed methods and practices that he has developed over the past several years to the design and execution of this production, including the application of Integrally-informed approaches to narrative, visual, sound, and editorial design, and to pre-production, production, postproduction, and distribution practices. This approach includes the application of Integral practices by all members of the cast and crew to help facilitate an integrally-informed creative field and assist in putting Integral principles into practice to support the transformational intent of the creative work and the potential transformation for creative team members as well.